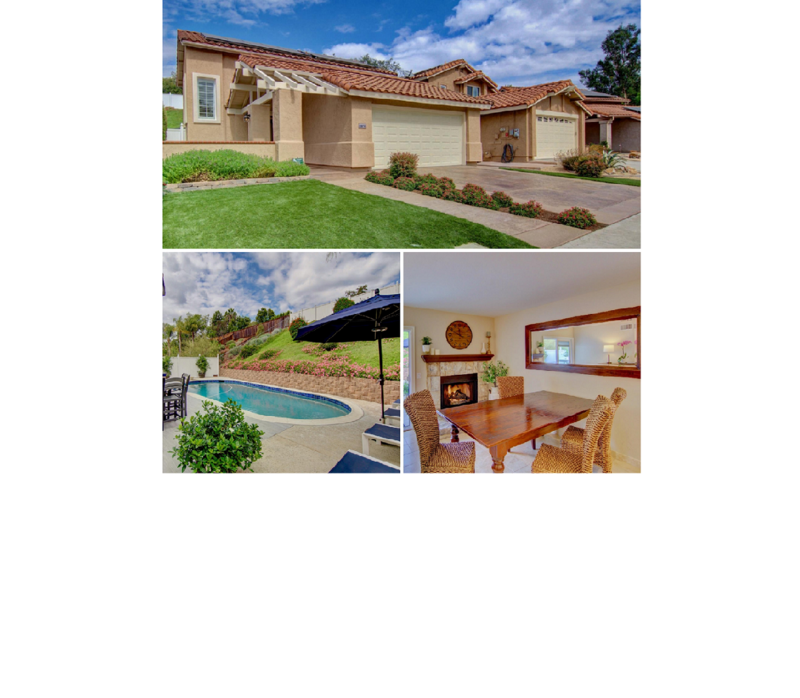 Exceptional resort style home in Scripps Ranch. Custom front door with rain glass window and wrought iron insert. Home features 3 bedrooms, 2.5 baths. Remodeled throughout! Fabulous kitchen with granite counters, southern hickory wood cabinets and mantle in dining area. Shutters throughout, solid core panel doors, tile flooring on first floor. Incredible yard featuring saltwater pool, spa, built-in island BBQ, perfect for entertaining friends and family. This home has been completely remodeled … take a look … You can see the virtual tour of this property at 11850 Arborlake Way - YouTube.